A persona is a detailed profile of the characteristics, needs, motivations and environment of intended or important user segments. It should include their name, age, career, income uatiand other relevant characteristics such as their goals and values. 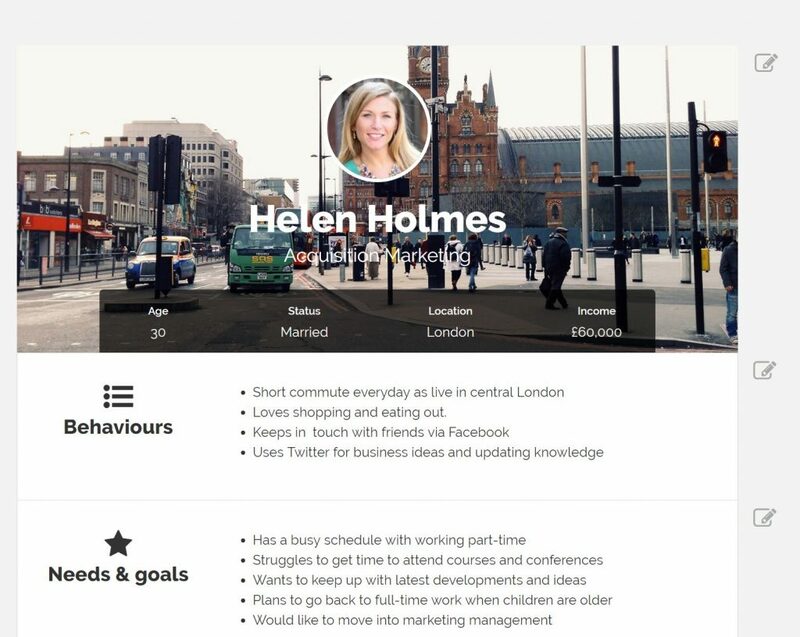 Personas are valuable when considering user interface design decisions and prioritising features in the development process. They can also help generate hypothesis for A/B and MVT experiments. The Buyer Legends process integrates personas into an agile business process for evaluating customer journeys for an individual user segment. Buyer personas – How to use buyer personas to improve conversion. 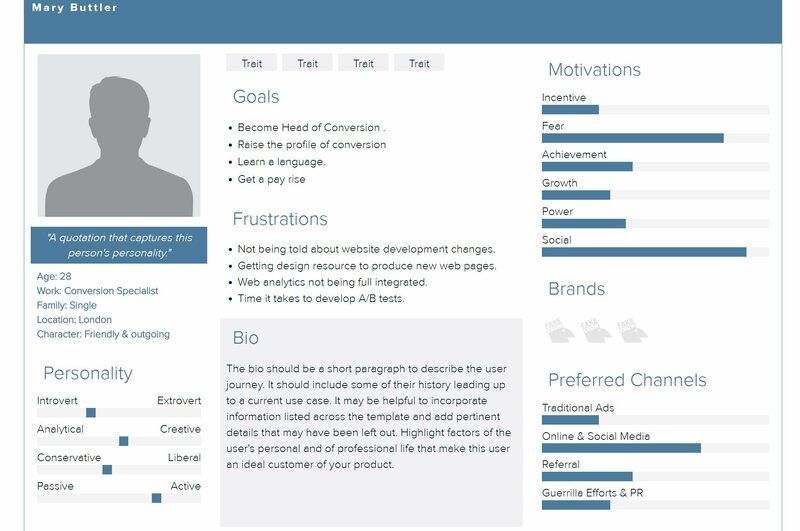 Buyer persona creation tools – 7 awesome free tools to create buyer personas.